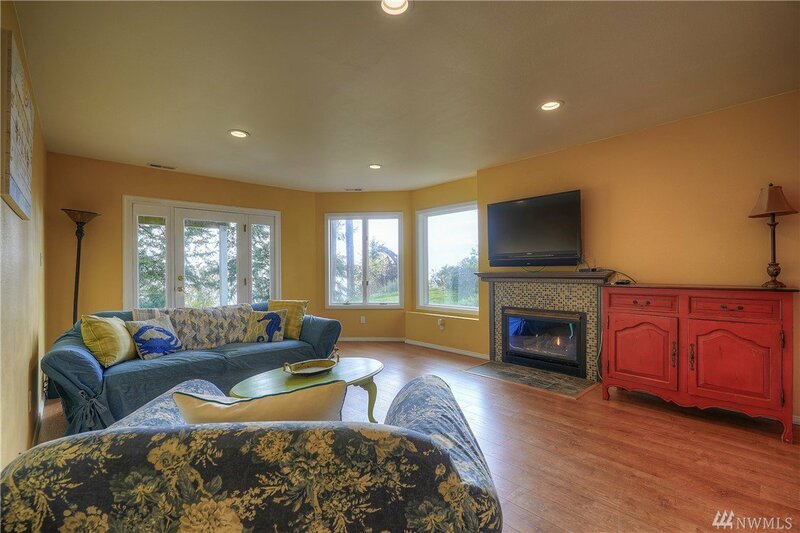 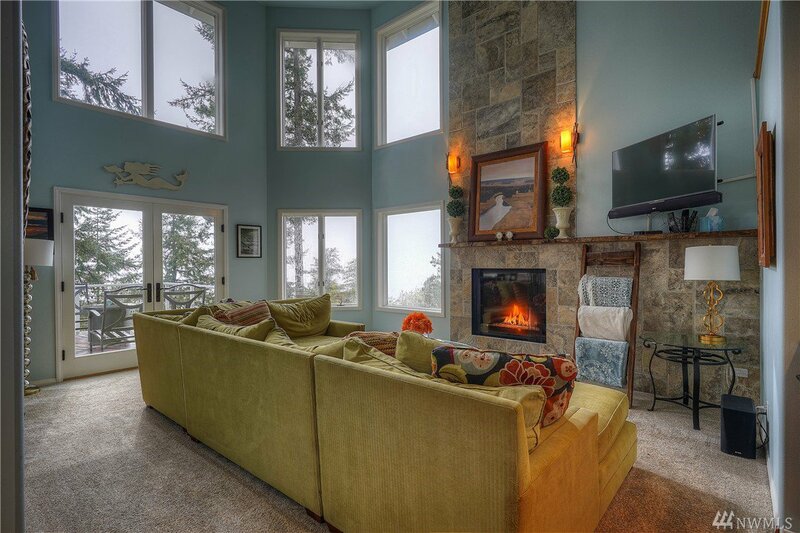 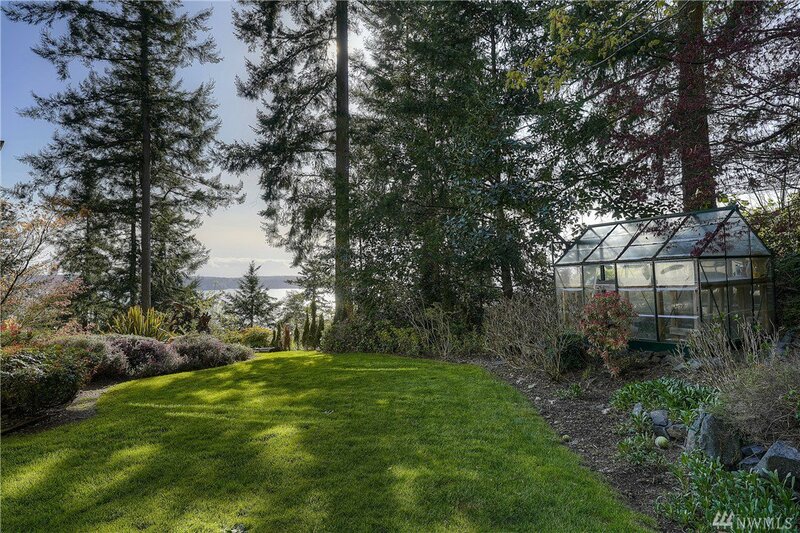 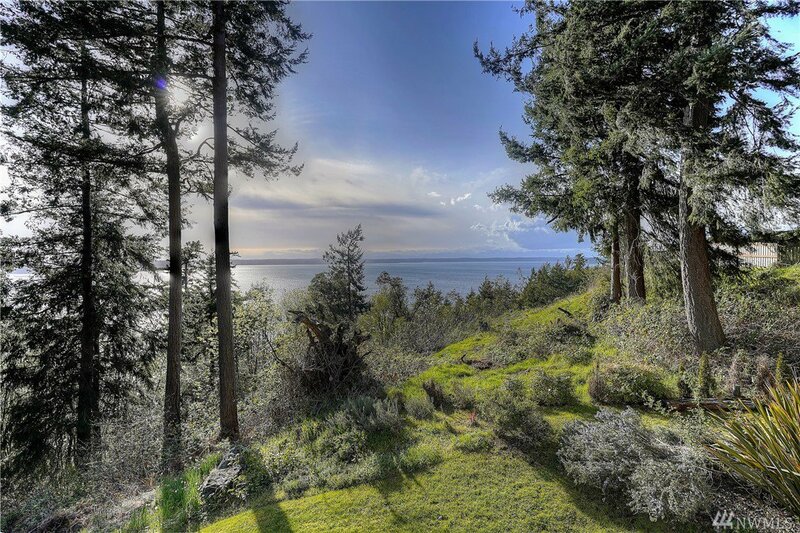 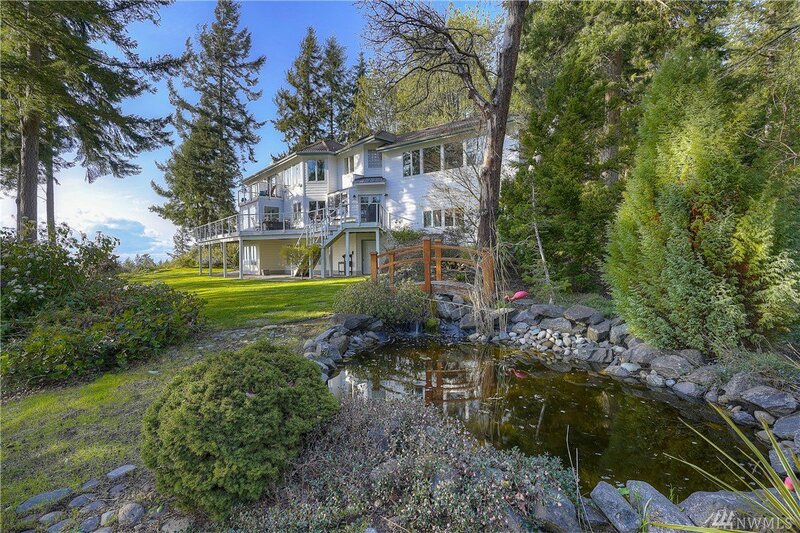 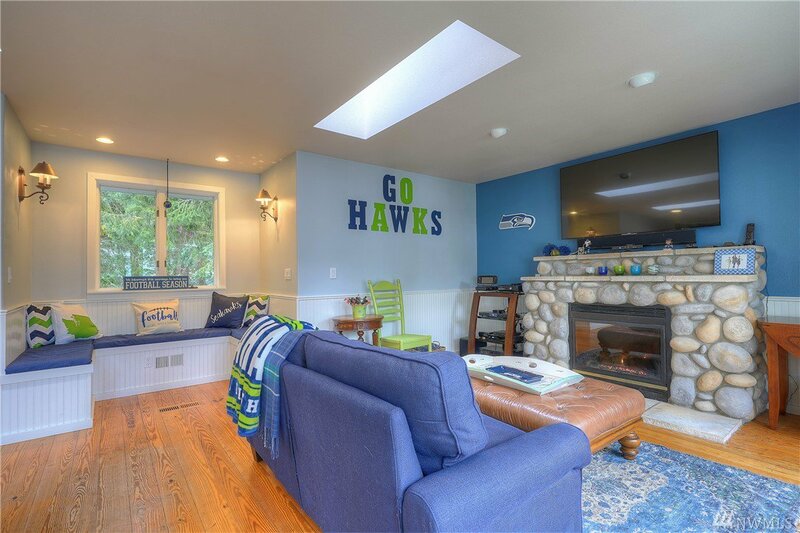 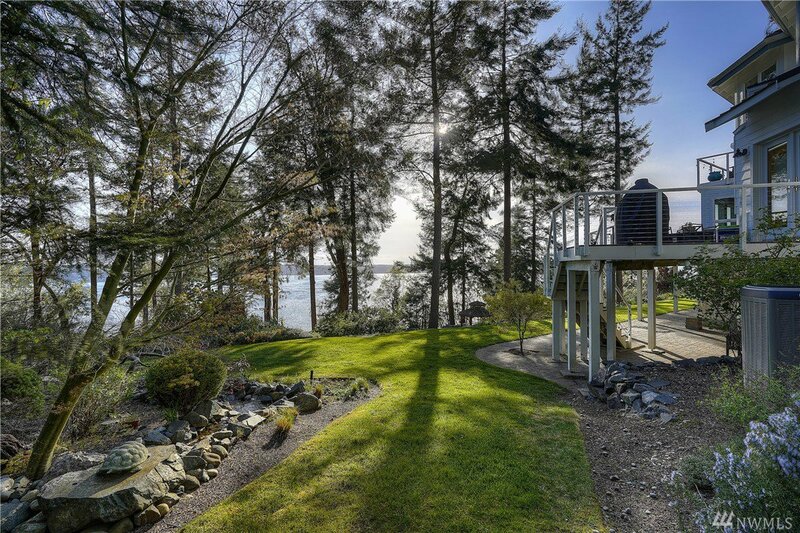 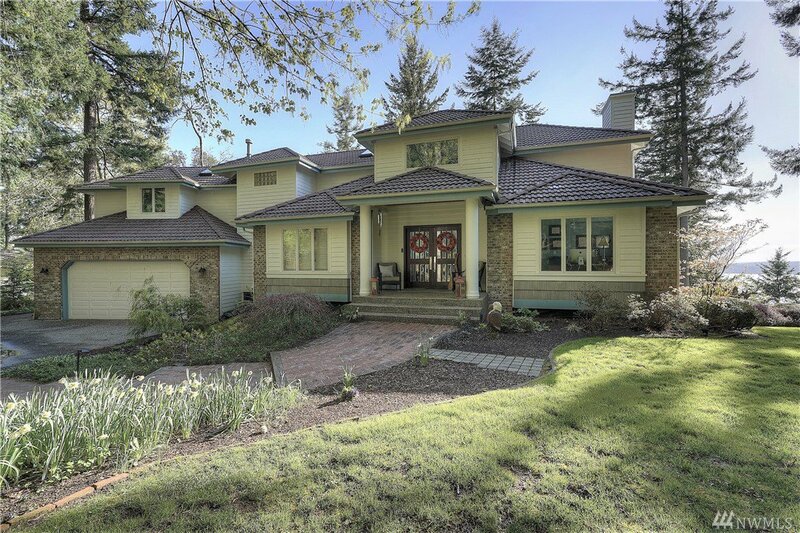 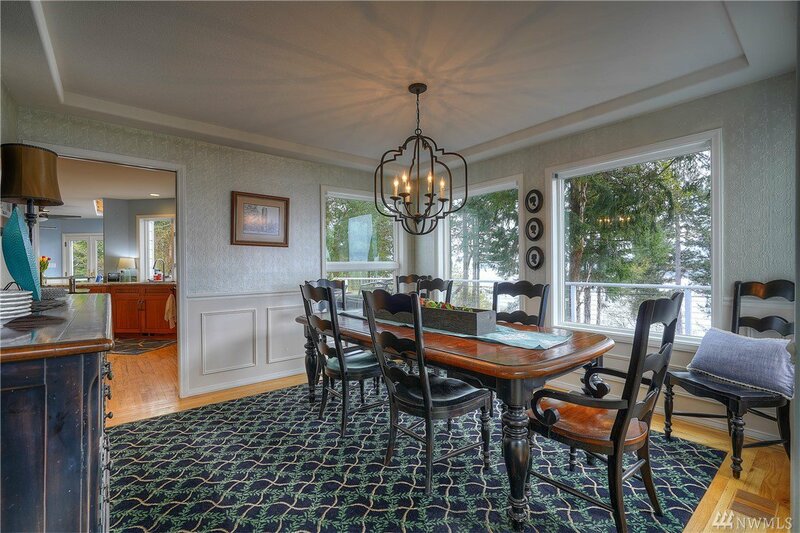 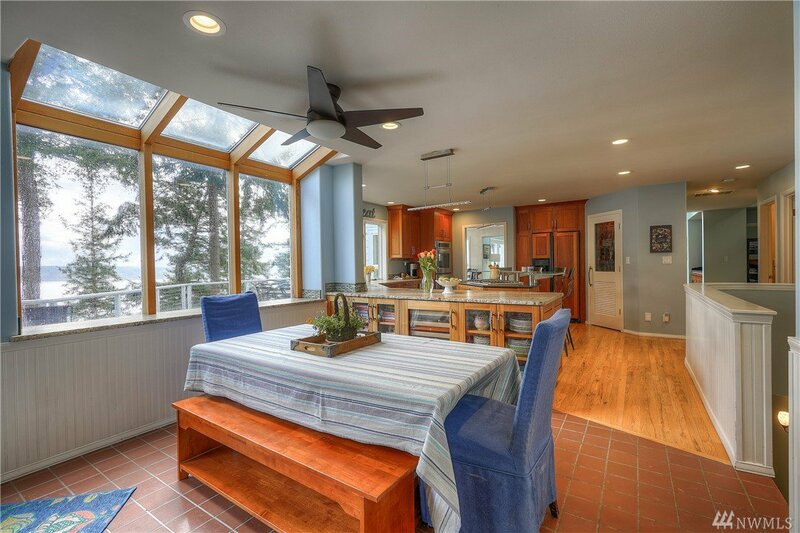 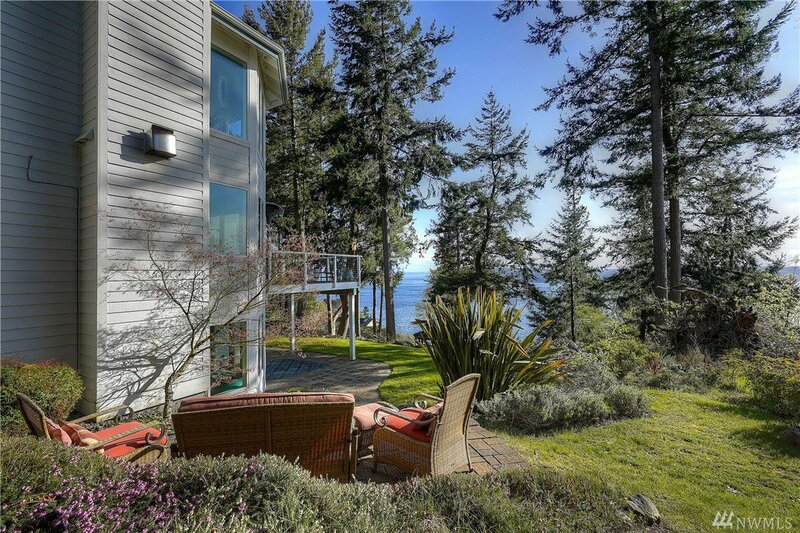 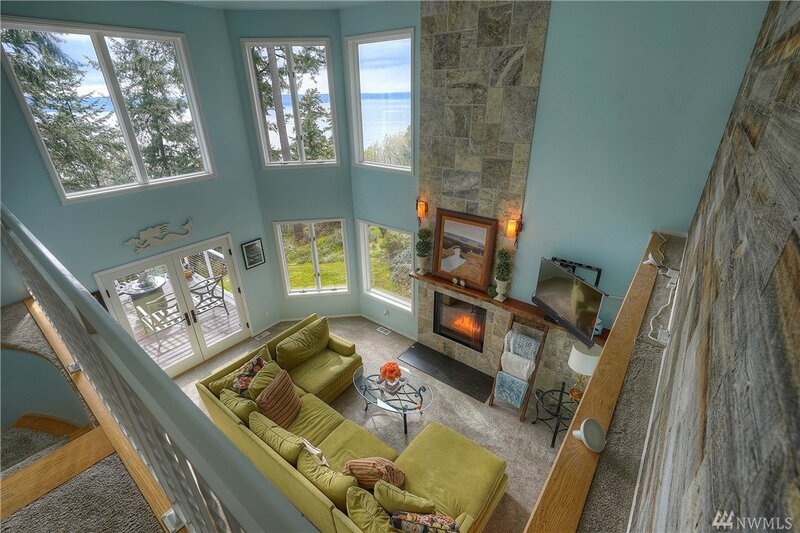 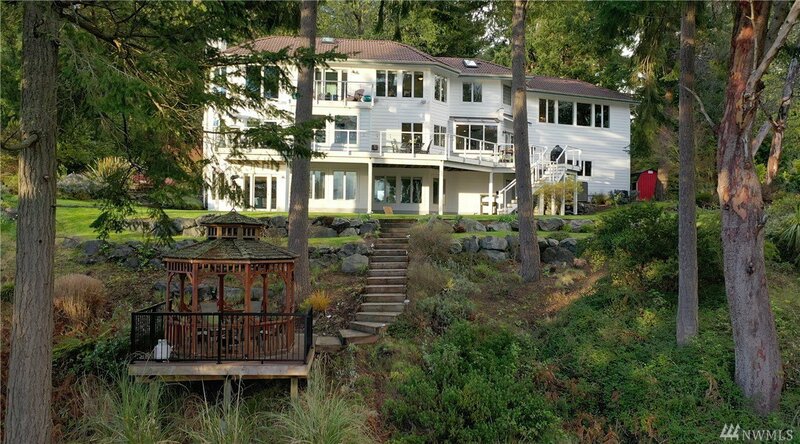 Enjoy Custom Home situated on 1.2 beautiful acres w/stunning water & sunset views of the Olympics. 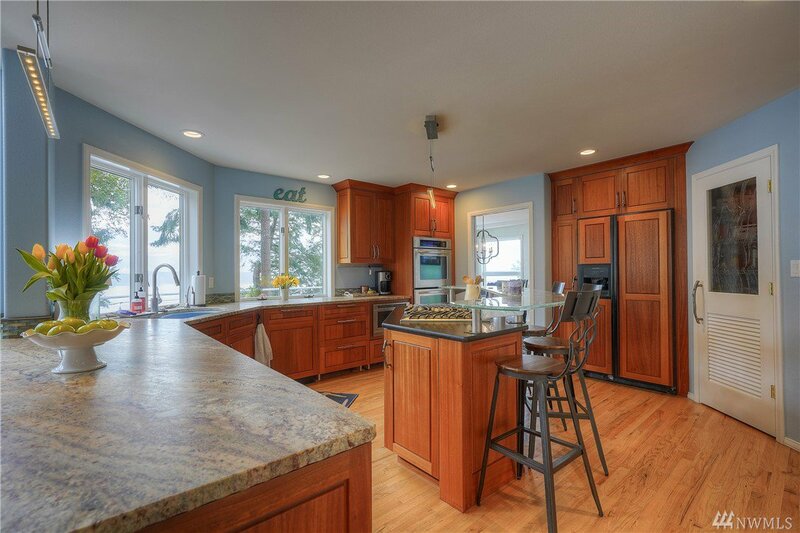 Gorgeous Gourmet KIT boasting mahogany custom cabinets, granite counters, art glass island. 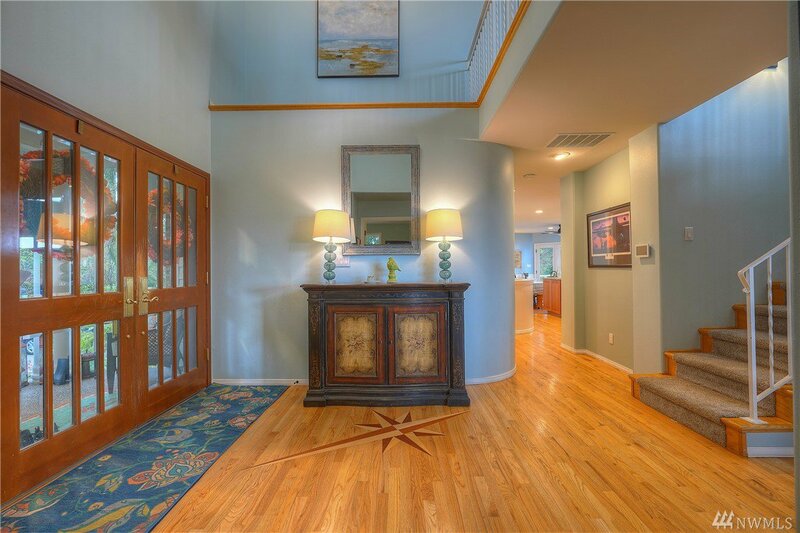 Flow into 2 story vaulted LR w/ tumbled travertine frplc & wet bar. 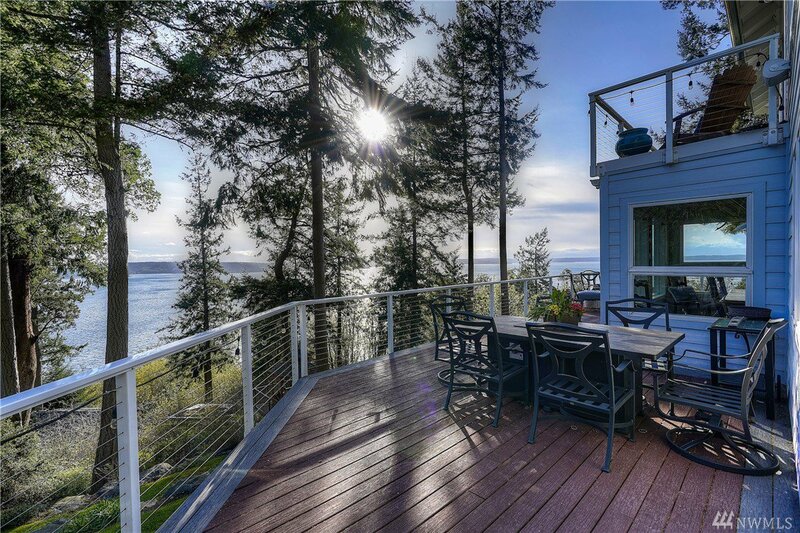 Entertaining can also take place in the bonus rm or outside on the huge deck. 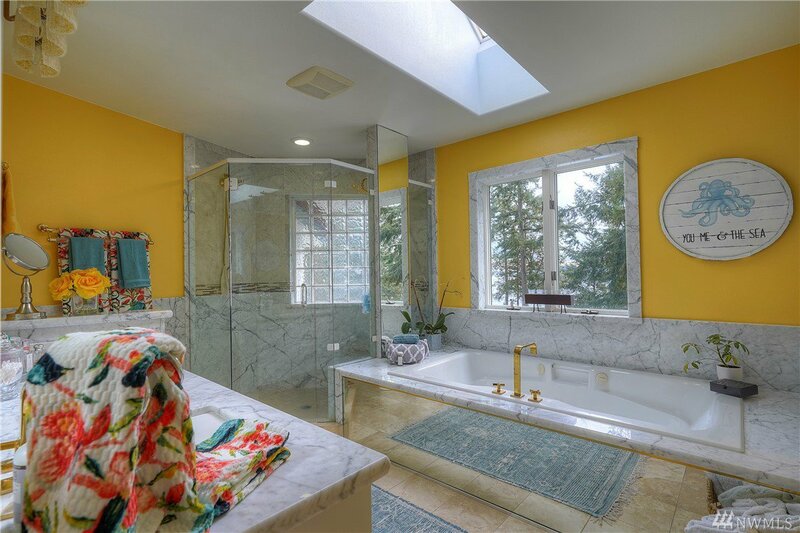 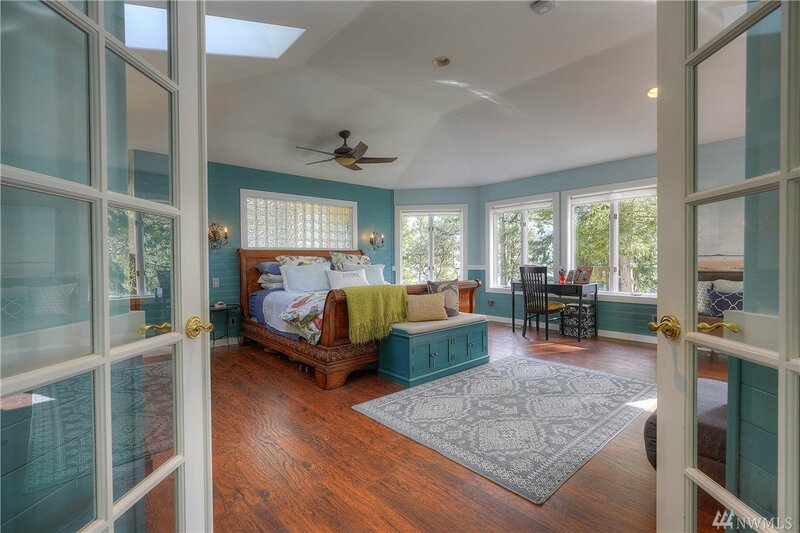 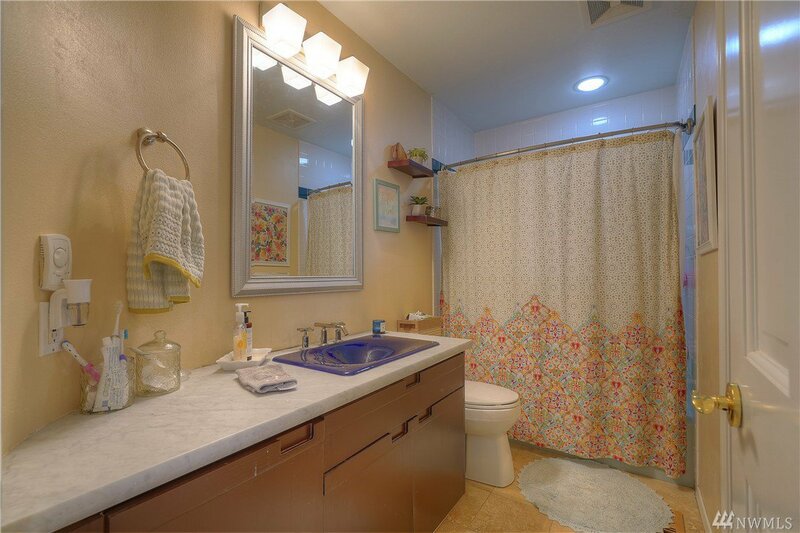 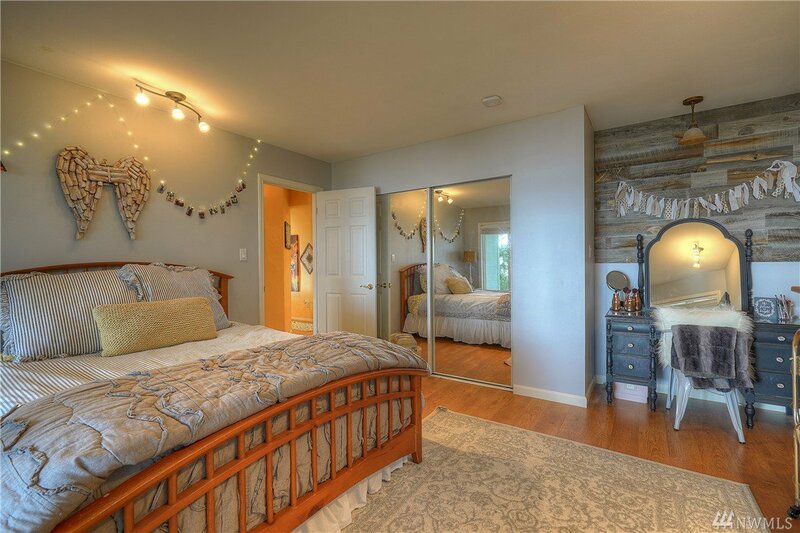 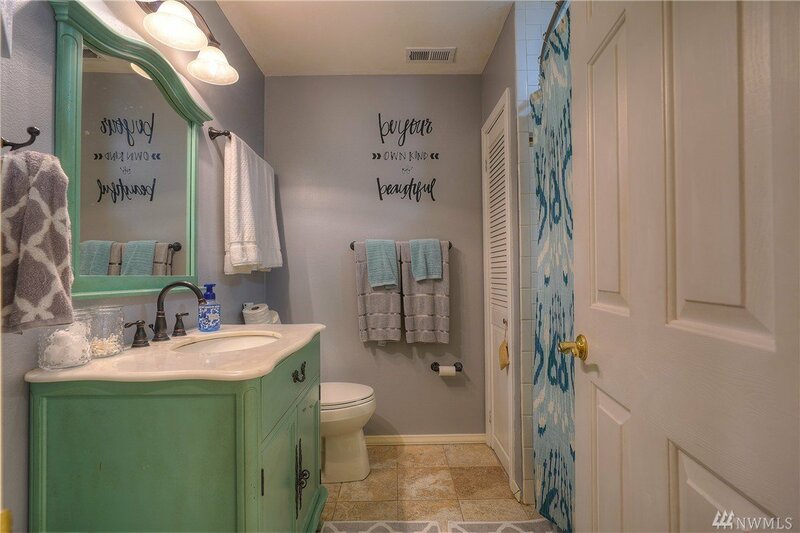 Finish the day in your Mstr Ste soaking in the jetted tub & enjoying the scenic views from your own private deck! 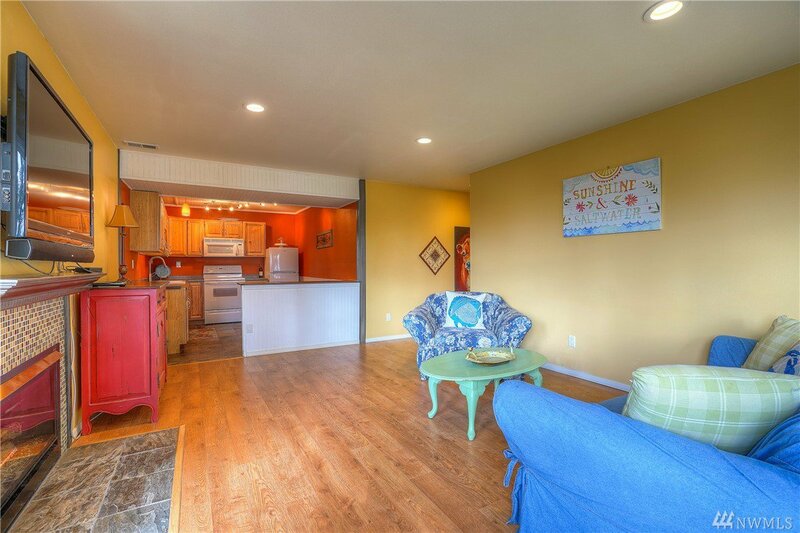 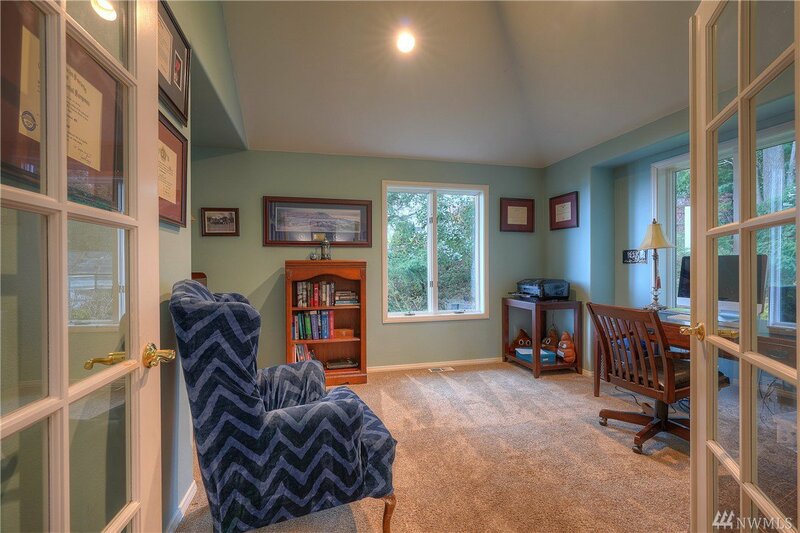 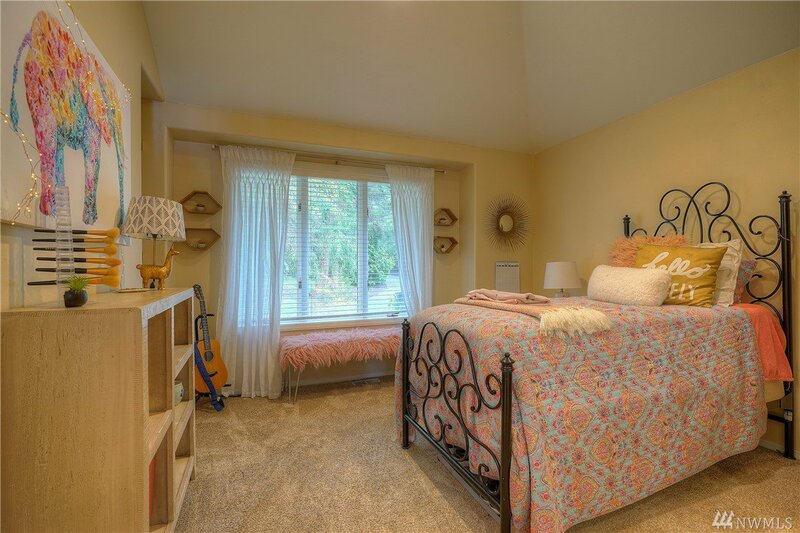 LOWER LEVEL LIVING: 2nd kitchen, frplc, 2 bdrms!